Cryptocurrency is a new form of currency that was introduced to stop all the centralized financial organizations from benefitting and controlling our money. This is why there are no financial institutes in charge when it comes to cryptocurrency. You might be extremely happy with all this new power and freedom that you have acquired. However, with great power comes great responsibility. In the case of cryptocurrencies, you are completely responsible for whatever happens to your funds. It is your duty to protect it from getting stolen. One also has to backup their own wallet in order to avoid any unnecessary loss of funds. In this article, we will understand the necessity to backup your wallet and the various ways to do it. Ever heard of the sad story of a man losing 7,500 Bitcoins just because he formatted his hard disk? This is one problem when it comes to cryptocurrency. If you don’t have access to the private key of your wallet then the funds are as good as gone. As scary as it that sounds, there is one simple solution for this problem. All you need to do is create a backup of your wallet and store it in a secure location. This can either be a backup of your seed phrase or your private key. Either way, having a backup is the wise thing to do. How to Backup Different Wallets? 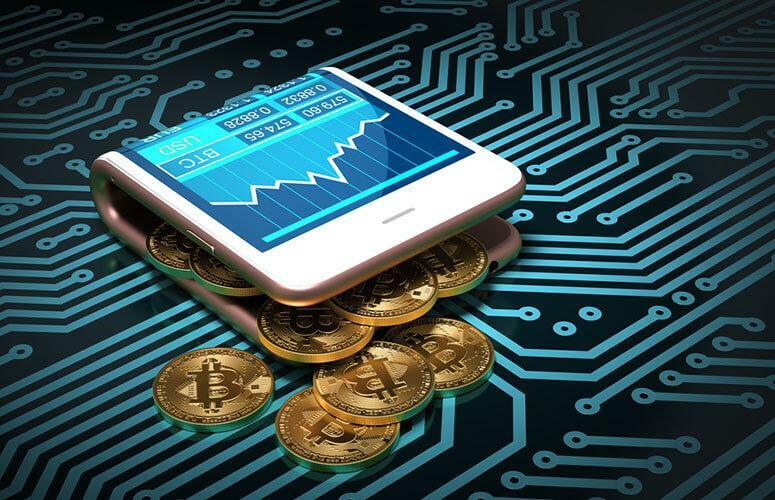 Two of the most widely used cryptocurrency wallets are the Blockchain wallet wallet and the Trezor hardware wallet. Even though both these wallets are extremely secure, not having a backup might actually lead to a large loss. Blockchain Wallet: If you are using the Blockchain wallet to store your cryptocurrencies, you can backup the wallet means writing down the seed phrase on a piece of paper and storing it in a secure location that is accessible for you. Trezor: When it comes to the Trezor hardware wallet or any other hardware wallet, you have only one choice to backup. As you don’t have the access to any of the private keys on these wallets, all you need to do is backup your seed phrase and store it in a secure location. By doing this, you are preventing one of the biggest threats to your funds. Seed phrase is a very common word used in the crypto world. It refers to the 12 or 24 randomly generated words that you are told to write down and re-enter in the same order during the setup of your wallet. This word phrase is extremely helpful in restoring your wallet in case you end up loosing your data or worse yet, your hardware wallet. By entering the same seed phrase, you can restore your account on any other device with all your funds still intact. Never store your seed phrase on any social media websites or on the cloud: Hackers are always on the lookout for people who use cryptocurrencies. The first place that they would search is your social media. By storing it on Facebook, you increase your risk of getting hacked and eventually losing all your funds. Do not store your backup files on your PC: PCs are very vulnerable to attacks. The main reason for this is because they are usually connected to the internet. Thus the attackers always have a door to enter through. If your PC does get invaded, your backup file will be found and you will ultimately lose your funds. Never take a photo of the seed phrase: Whenever you create a new wallet, you are urged to write down the seed phrase instead of taking a screenshot or a photo. This is because a photo is accessible by anyone who has access to your phone. Anyone who can see the seed phrase can use it to transfer funds out of your wallet. If this happens, you have no way of getting it back. Encrypt your seed phrase using keypass: You can use Keypass to encrypt your key phrase and passwords. This encrypted file can then be stored anywhere you want. As it is encrypted, it is of no use to the attacker. Use billfodl for extra security: Natural calamities are always a threat to your backup seed phrase that is written on a piece of paper. There is nothing you can do if the paper you wrote the seed phrase on catches on fire or gets soaked in water. This is where billfodl can be very helpful. As the entire product is made up of stainless steel, it is waterproof, fireproof and also immune to extreme levels of wear and tear. By using it to back up your wallet containing a large amount of funds, you can be certain that your funds are stored safely. Conclusion: When you start to use cryptocurrencies without any backup, you are actually putting your funds at risk rather than keeping them safe.. What could have turned you into a millionaire one day is now just sitting in a wallet and all you can do is stare at a lost opportunity. So, instead of taking a chance, create a backup and stay extra safe.